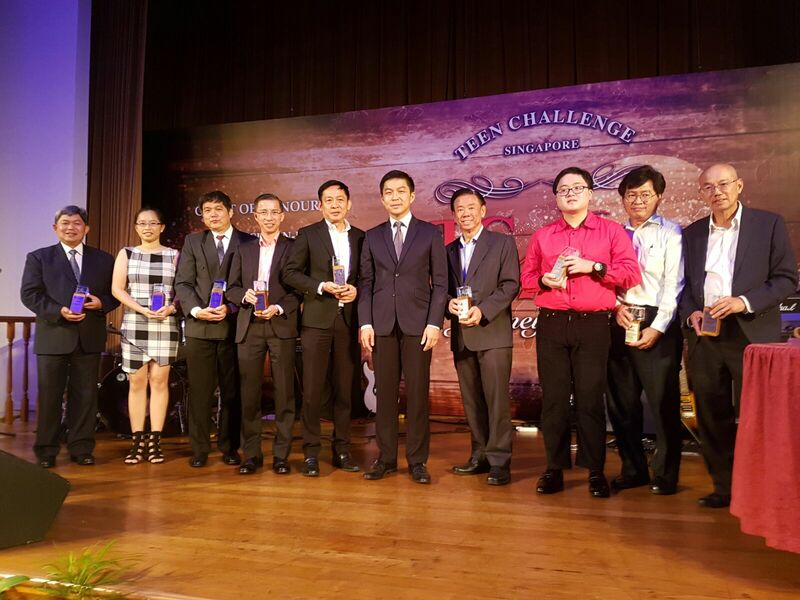 Teen Challenge (Singapore) conferred an award to Khoo Chwee Neo Foundation (KCNF), in recognition of the donation towards the purchase of a lorry, at its 40th Anniversary Celebration Dinner. 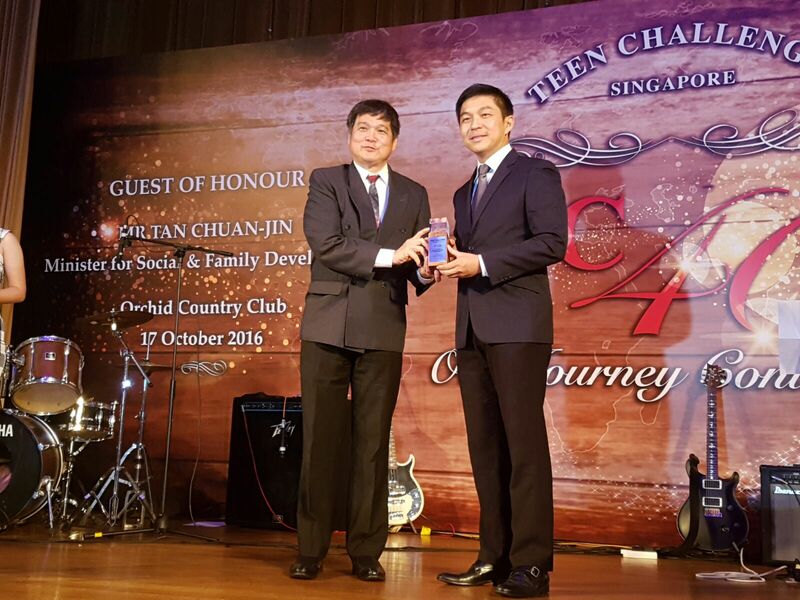 The award was received from Guest-of-Honour, Mr Tan Chuan-Jin, Minister for Social & Family Development. Teen Challenge (Singapore) provides solution through faith based intervention programmes to the pressing needs of the marginalized in our community, particularly to those struggling with substance abuse and alcohol addiction.